Stephen Anderson is a Milwaukee poet whose work has appeared in numerous print and online journals including Southwest Review, Tipton Poetry Journal, New Purlieu Review, Free Verse, Verse Wisconsin andFoundling Review. Many of Anderson’s poems have been featured on the Milwaukee NPR-affiliate WUWM Lake Effect Program. He is the author of Montezuma Resurrected And Other Poems (2001) and The Silent Tango of Dreams (2006 chapbook), and several of his poems appeared in the poetry collection, Portals And Piers (2012). In the summer of 2013, six of his poems formed the text for a chamber music composition entitled The Privileged Secrets of the Arch performed by some musicians including two members of the Milwaukee Symphony Orchestra and an opera singer. Because of a particular set of life experiences, Anderson considers himself a poet with a global perspective rather than a regional poet. His poetry collection, Navigating in the Sun, was published by Finishing Line Press in July, 2015, and his first book-length poetry collection, In The Garden Of Angels And Demons, was published by Aldrich Press/Kelsay Books in March, 2017. His most recent full-length collection, The Dream Angel Plays The Cello, was published by Aldrich Press/Kelsay Books in February 2019. 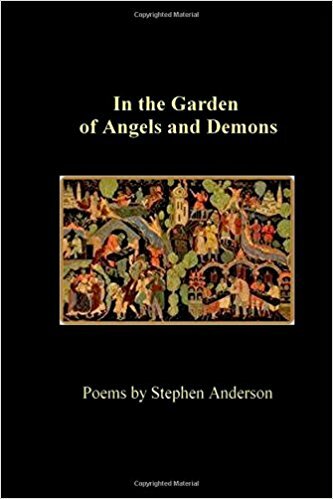 In the Garden of Angels and Demons, Collection (2017, Aldrich Press/Kelsay Books), available on Amazon and Kelsey Books. 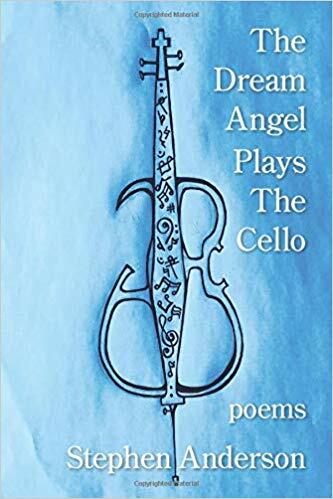 The Dream Angel Plays the Cello (2019, Aldrich Press/Kelsay Books), available on Amazon and Kelsey Books. Sorrow, tears, joy or prideful celebrations. May secretly dream of overcoming.